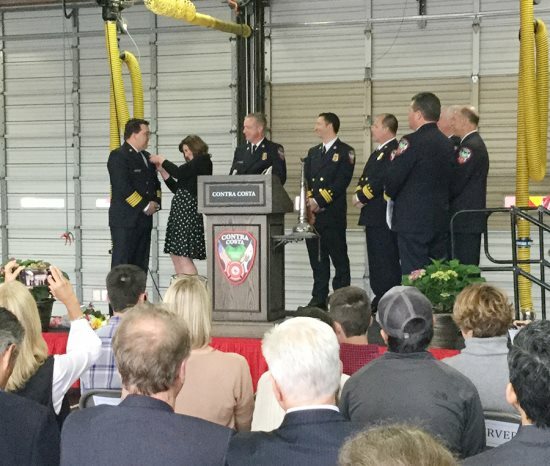 "From the time I began here, I knew that Lewis would be my successor," Carman said, as the two semifinalists for the fire chief position in 2013 became not only synchronous coworkers but good friends as well. "I hope he gets a deputy chief that he can count on as much as I have." Broschard vowed to continue the positive momentum of the district, and promised to maintain the high level of public trust that the district has realized under Carman. He also said he will continue to advance one of Carman's top priorities as chief. "Relationships are special and relationships are important, and I will continue to foster them," Broschard said. 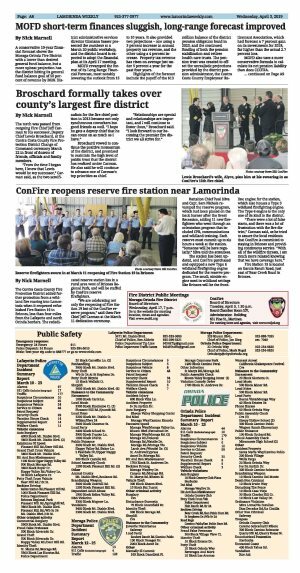 "I look forward to our becoming the premier fire district we all strive for."